Animals in Italy and the Italian climate: sun, heat and using dog sunscreen. Animals in Italy are vulnerable to sun stroke. and tips on what to do if your animal suffers. The Italian climate is one of the main reasons people visit Italy, but Italy in the summer can be incredibly hot and animals in Italy need to get used to the heat as much as humans do. 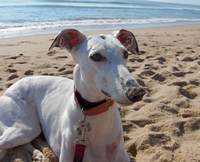 So, if you're planning on visiting pet friendly Italian beaches this summer, here to help you enjoy a happy holiday is a list of causes, pets' symptoms, some basic advice about what to do if your animal suffers sunstroke and, on the following page, our twenty top tips on how to avoid it in the first place. The hottest ever recorded temperature in Italy was in 1998; over four thousand people and an unrecorded number of animals in Italy died that year of heat-related illness. 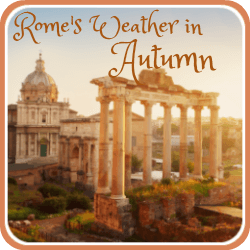 Italy's climate varies depending on region, altitude and distance from the sea; the western region bordering the Tyrrhenian Sea has relatively mild seasons, for example, while the south tends to be hotter and drier year round. Our view on the way to the shops! and the heat haze increases humidity. But the summer months see temperatures universally hot north to south and in recent years those temperatures have been slowly increasing. It is now usual to find temperatures during the summer months of between 32° and 35° Centigrade (89° - 95°F) in the north of the country and in the south, 30° to 42° C (86° - 107° F). Our house in Le Marche regularly records temperatures of 40° in July and August and, if you have ever lived in temperatures that high, you'll know just how draining of energy it can be. The Italian climate is often exhausting not only for humans but for Italian animals too. So if you're thinking of taking a vacation with animals in Italy, or taking them to live there permanently, it's really very important to remember the effects of Italy's climate on your pets as well as on yourself and your family. This page is an animal fact file about pets and the sun which we hope will help. At its centre, the temperature of the sun is fifteen million degrees Centigrade. Its warmth makes us feel good - particularly if we live in a country which often doesn't see it for large parts of the year! - and in the recent past a sun tan has been taken as a sign of good health and perhaps a sign also to friends and neighbours that you've had a good holiday. But most people are now aware that sun can also create severe damage, not only making human skin look old before its time but being one of the main causes of skin cancer. One of the major successful health promotions of recent years has been Australia's "Slip Slap Slop" - slip on some cover, slop on sunscreen, slap on a hat. What isn't as commonly known or thought about is the effect of sun on pets - both Italian animals and those just visiting. Pets' symptoms aren't as obvious as humans', pets can't tell us when they're burning, and pets certainly can't make judgements for themselves about what's safe and what's not. But the sun can have as drastic an effect on pets as it can on us and our children. Just as skin cancer due to sun exposure is now one of the most common forms of cancer in humans, it is also the most common form of cancer in dogs - less commonly in cats. And the problem isn't just cancer. Because the Italian climate can be so hot, we need to be aware of all its potential effects on our animals in Italy as well as on ourselves. 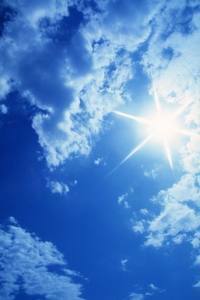 Sun stroke and heatstroke - what are they and what's the difference? The effects of the sun can be relentless, even on a cloudy day. The difference first, because that's quite simple. Sun stroke is caused by direct exposure to the sun; heatstroke is caused by exposure to heat but can happen even on a cloudy day without any direct sunlight. High levels of humidity, for example, can be a killer. The symptoms and treatment are exactly the same. All animals are vulnerable to both heat and sun stroke and leaving cats and dogs in heat, whether they're in direct sunlight or not, can have serious effects very quickly. 50% of animals in Italy contracting either sun stroke or severe heatstroke die. Sun stroke and heat stroke both happen when high temperatures cause a fever in the animal. Unlike humans, dogs and cats don't lose heat from the skin but pant to get rid of excess heat. When there is too much heat their body mechanisms become overwhelmed and stop working. Internal organs then basically cook and within a very short time - some studies suggest as little as ten minutes - the heart, brain and kidneys can all become severely damaged and untreatable. Sunburn is different. Painful, yes, but not often fatal. Sunburn is very common for animals in Italy unless they are protected by a sunscreen for pets and can be identified by red, peeling skin which will irritate and make your pet scratch a lot. The problem with sunburn in animals is that it quite often goes alongside either sun stroke or heatstroke. So looking at how to keep animals in Italy safe from sunstroke will inevitably also mean preventing both heatstroke and sunburn. But take heart. Sun stroke, heatstroke and sunburn in animals are all preventable, even in Italy's climate. Let's have a look at the most common causes of sun stroke, pets' symptoms and what to do if you think your animals in Italy might be suffering. Then on the following page you will find twenty tips to help you prevent it. What are the main causes of heat and sun stroke for animals in Italy? 1. Cars : First, my particular pet hate (if you'll pardon the pun). Cars. Never, never, never leave your animals in Italy in a car, not even "just for a minute", not even if you leave windows open. 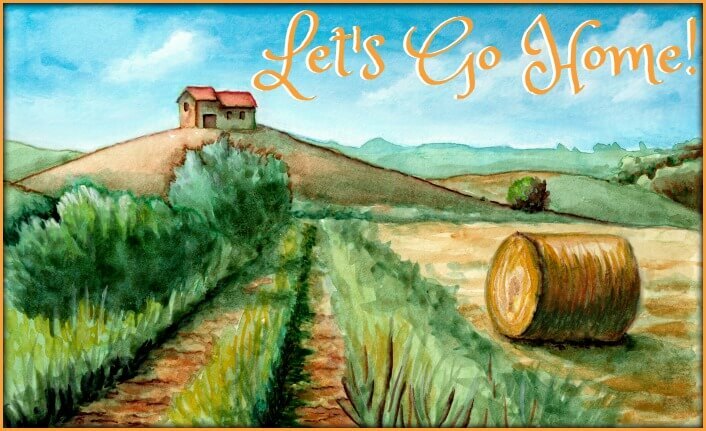 Italy's climate in summer is too hot even on a cloudy day and the car will act exactly like an oven, the metal and usually dark coloured interior conducting heat quickly. When the outside temperature is 29° the inside of a car will reach 49° within minutes. Animals become overheated, pant to try to cool off, the panting adds warm water vapour to an already oven-like car, and the air becomes yet hotter. It's a killer. So just don't do it. Please. but more likely to get sunburn. 2. Breed, size and colour : Imagine you're wearing a heavy, fake fur coat. It's 30° outside and you can't take it off. How would you feel? Obvious really, isn't it. Heavy or thick coated dogs like the German Shepherd, Husky, Chow Chow or Italian sheepdog will all suffer from the heat more than short-coated breeds. Those dogs are often bred for cold climates and don't adapt well to heat. But there again, dogs with shorter and lighter coats or light coloured skin are more susceptible to sunburn unless protected with a dog sunscreen, so don't assume that your animal's coat will protect it. You can see from the sun facts above that the sun's rays have a nasty habit of penetrating. Did you also know that black coated animals are twice as likely to suffer from heatstroke as other colours? Black dogs in heat will absorb the sun as opposed to lighter coats which reflect it. Other factors likely to be important are: age - younger and older animals find it more difficult to adapt to heat if they're not used to it; large or overweight animals; and animals with a flat face like the bulldog, boxer or Persian cat. They have a narrower windpipe than other animals and are more likely to suffer breathing difficulties if left in the heat. 3. Exercise : Would you want to go for a run on a hot day? I've done it in my time but wouldn't want to do it now - and neither would your dog. Watch animals in Italy which are native - they sensibly take a 'siesta' in the heat of the sun. Exercise in hot or humid weather can be dangerous for your pets, so let them rest till the heat cools off. 4. Ground temperature : Remember that your pets are much closer to the ground than you are and will feel the heat reflected by ground more intensely. The Italian climate causes concrete and sand to retain heat which can burn paws. As a rule of thumb if the ground is too hot for your hand, it will be too hot for your pet. And, if you want to be kind to your animals in Italy while on a dog friendly beach, never put a blanket either over or under your pet. 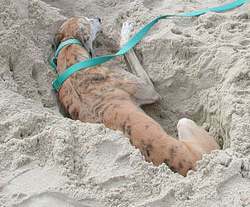 You may notice dogs in particular digging a hole in the sand and lying in it - that's because they instinctively know the sand underneath will be cooler. So let animals in Italy dig to their heart's content! 5. Salt water : Many of the best Italian beaches for pets allow animals in the sea, which is great for cooling off. But remember that sea water is salt. If your pets drink salt water, especially if they then vomit, they will become dehydrated very quickly. 6. Dehydration : Which brings me neatly to the last most common cause of sun problems for animals in Italy. If animals don't have enough water, they will dehydrate. Dehydration causes blood to thicken and makes it more likely to clot. Cells die, recovery becomes unlikely and, in severe cases, impossible. 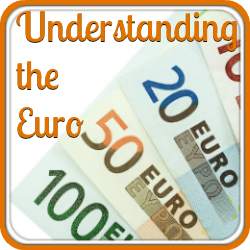 How do you know if animals in Italy are suffering from heat or sun stroke? Be alert to these pets' symptoms. If your pet has two or more, get to a vet. 1. Panting : As we've seen, dogs in heat will pant - it's their way of sweating - so don't panic if you notice your pet panting more than usual when he's hot. But if he also starts salivating, seems to have difficulty breathing, or his heart rate is very fast, he could be in trouble. 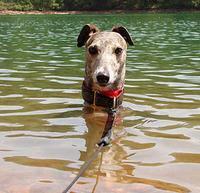 Let your dog swim, but make sure he doesn't drink the sea water! 2. High temperature : If your dog's temperature is over 40° he has a high temperature and you have a problem. It's not easy to tell a pet's temperature of course - some people feel the ears but that's not a good indicator. You can buy an ear thermometer reasonably cheaply if you're planning in advance. They're a lot easier to use than the more accurate rectal variety! But again, as a rule of thumb, if your dog is panting excessively but his skin feels cool and clammy to the touch, look for other symptoms and be alert to the possibility of sun stroke. 3. Bright red gums and tongue : Make sure you know what colour your pet's gums and tongue are normally. If they become very red, it's a sign that he's suffering. 4. 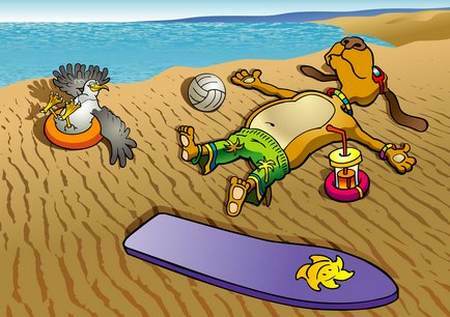 Lethargy : We all become tired and sleepy in the sun and animals in Italy are no exception. But if your pet gets to the stage where he seems a bit drunk, it's a sign of overheating. 5. Collapse and coma : If your dog starts having seizures, falls asleep suddenly and can't be brought round or collapses, he's got big problems. In that circumstance get him to a vet as quickly as you can. It may already be too late to save him and professional care will be his only chance. 1. Take action quickly : This is a 'time critical' condition. Watch out for pets' symptoms and don't waste time. It's more important to get your pet to a vet than to try 'do-it-yourself' remedies, particularly if the heatstroke is advanced. 2. Get your pet into the shade : If he's been in a car, get him out of the car and into a cool place. The Italian climate can be relentless. Animals in Italy kept in hot cars even for a matter of minutes will suffer badly and may die. Hose him down with cool water. 3. Cool him off : It's good for your pet to cool off in tepid water - make sure it's not ice cold which would be too much of a shock to his system, and not salt water if possible - he may try to drink it. Hosing him down will be the most efficient way of doing this and most of Italy's dog friendly beaches have hoses for that very purpose. 4. Pack him with cool towels : If your pet is very hot, wet some towels with tepid water and put them on his neck, tummy, head and feet. Keep rinsing them at intervals as the towels will absorb heat and themselves become hot. 5. 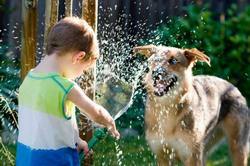 Give him ice cubes : Cats or dogs in heat need plenty of water. Don't put ice cubes or an ice pack on him, but offer him ice cubes to lick. This will help rehydrate and cool him at the same time. 5. Beware of giving him hypothermia : From one extreme to the other! Don't over-cool your pet. Once he seems comfortable and his heart rate and panting have subsided, stop. His temperature will continue to fall and if you keep cooling him he will become too cold. 6. Get him to a vet : This is so important I'm going to repeat it. Nothing is a substitute for proper veterinary care and advice. If any of your animals in Italy has collapsed or seems in a state of near collapse, don't bother with the self-help bits - get him to a vet straight away. At most stop to wet some towels to put round him on the journey, but don't waste time. Even if you think you have managed to cool him, there is a chance that internal organs have been damaged. Only a vet can tell you that and advise you as to what to do next. have a look here at how to prevent it in the first place. Please remember that this information is facts about animals in Italy and the Italian climate which we have gained from our own experience. It is not a substitute for the advice of a vet. seek veterinary advice straight away. 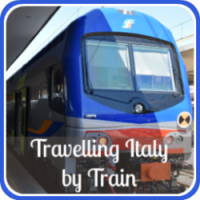 Travelling with a dog to Italy? 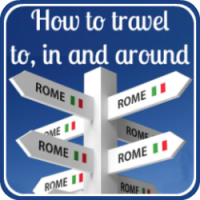 Want to take your pet to Italy but not sure about regulations?